Dr. Monte Gonzales has been in private practice in Oregon for 21 years serving the West Linn area as a top dentist. 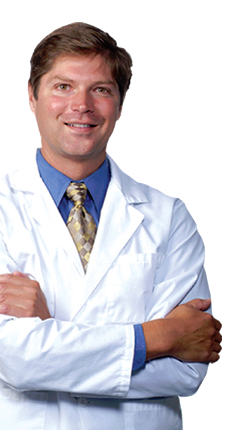 He is a member of the Academy of General Dentistry and utilizes the most modern dental technology, techniques and practices available today. Choosing a dentist is a very personal matter and we do our best to earn your trust. Your comfort is our main concern and we do our best to make your visit as pleasant and relaxing as possible. As you visit our office you will understand that we have a philosophy to help you improve your mouth in appearance, strength and longevity as you age. We want to have a lifetime relationship to help you reach your oral health goals. We strive to help you and your family feel comfortable and know that you are receiving the best care available. We emphasize prevention since successful dental care is dependent on your commitment to home care and scheduling regular visits. Should treatment become necessary, we offer a wide variety of services. We understand that the investment into your personal or family members oral health is important. We have partnered with over 13 dental insurance companies in order to provide you with excellent care while minimizing out of pocket expenses. Our office policy is to collect at the time of service. We will work with you and bill your insurance as a courtesy to you. We accept all insurance companies, and are preferred providers with over a dozen companies. Our full-service dentist offices are located in West Linn, and serve surrounding areas such as Oregon City, Canby, Lake Oswego, and Portland. We provide complimentary consultations so contact us today for an appointment that will change your life. You are encouraged to ask questions regarding your treatment at any time. We look forward to meeting with you and your family. Getting regular dental exams is one of the best things you can do to keep your teeth healthy. We offer a full suite of preventative care services, from teeth cleaning to fluoride treatments and more. Its normal for children to be a little apprehensive about visiting the dentist. Our friendly and compassionate staff is well-trained to make your childs appointment as painless as possible. Our staff has years of experience preparing and installing dental bridges, crowns, and implants. Whether you need to cap or replace a single tooth or several teeth, we work closely with the best dental technicians around to provide a finished product that fits and blends in perfectly. The need for bonding and veneers ranges from cosmetic improvements to preventative care. If you want to reshape a stray tooth or protect a sensitive tooth’s surface from damage, look no further. Our staff will walk you through all the options, ensuring you get the best care possible. Brighten your smile with our teeth whitening services, including Zoom Whitening. Our whitening techniques help break up stains and discoloration, leaving you with sparkling white teeth that you can be proud to show off. There’s no need to get creative with doors and floss – when it’s necessary to remove a tooth, we’re here to make the tooth removal process quick and painless. We take great care to make every visit as easy and painless as possible. For those who need a little extra help relaxing, we offer sedation options like Nitrous Oxide so you can rest easy while we take care of your teeth. Endodontics is a dental specialty most commonly covering root canal surgeries and treating cracked or broken teeth. Our staff is trained to provide the highest level of endodontic care so you can quickly get back to a pain-free life. We offer a range of quality, yet affordable partial and complete dentures. Stop by the office to speak with our staff of experts to find the perfect denture solution for your needs. Our office is equipped with state-of-the-art machines, allowing us to produce high-quality digital x-rays of your teeth and jaws. This helps to ensure that we’re able to deliver the most precise care for your needs. We know that tooth pain can be some of the sharpest and most unbearable pain. When unexpected dental pain strikes, you shouldn’t have to wait days to get it treated. We’re ready to provide emergency dental care when it’s needed most. Dr. Gonzales is now accepting new patients. To make an appointment, or if you just have a question about our practice or services, call us or use the form below and we’ll be happy to assist!